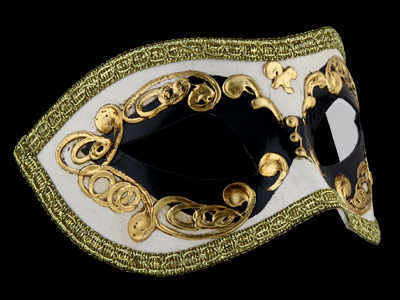 Breathtaking venetian masquerade party mask - antique gold, cream & black painted base with gold braid edged detailing.....Fantastic Venetian Masquerade mask! 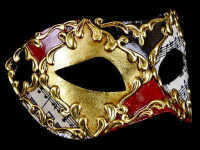 Extremely elegant, romantic and filled with style, this Occhi Masquerade Mask - Black will take everyones breath away. Showcasing what true glamour is this beautiful design features high-impact colours & high quality gold, cream & black base that's edged by stunning gold braid embellishment. 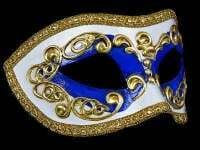 This stand-out party mask design makes the perfect accessory for your masked ball. 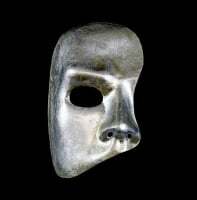 It has been handcrafted in the genuine Venetian tradition for Simply Masquerade using a antique papier-mache former and the highest quality materials by the best mask makers in Venice....Certified authenticity.